This is my favorite sketch of all my Rome sketches. I guess I like the straight lines and shadows. This was really fun to draw. I always like to find a different spot to sketch things - a different point of view. 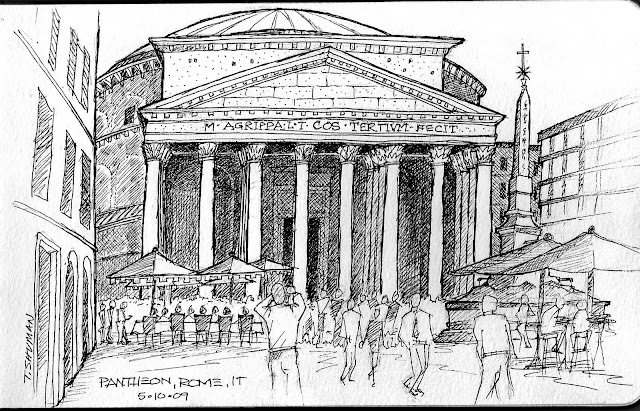 After worked on this sketch I walked to the right of the Pantheon and noticed another guy sketching the same building. He had the same exact sketchbook that I had, so we shared our drawings with each other. That was cool. A Great sketch! 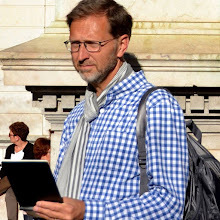 The image of you sketching, just brings flaskbacks for the time I was there back in 2002.